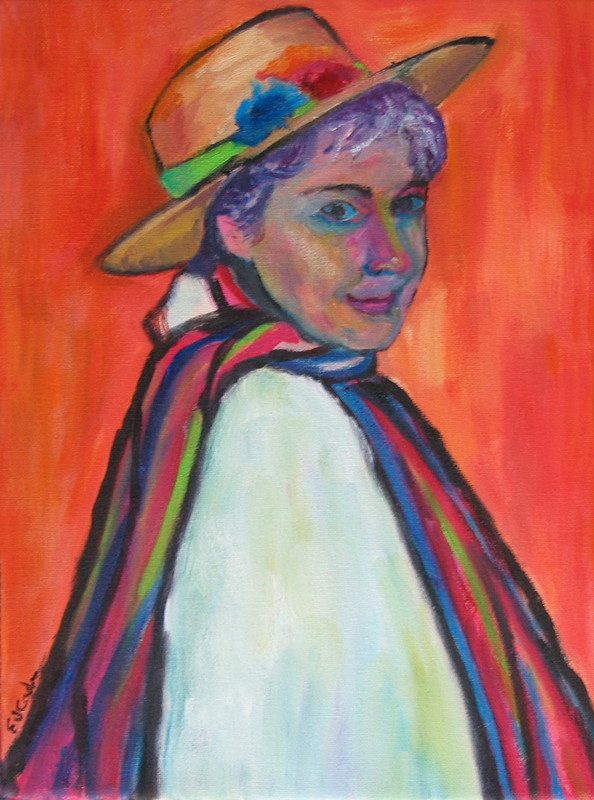 oil on canvas, This self portrait was inspired by a painting of Gabriele Munter's. I had myself photographed in a similar position to the portrait she had painted. For a giclée print of this painting, please contact the artist.